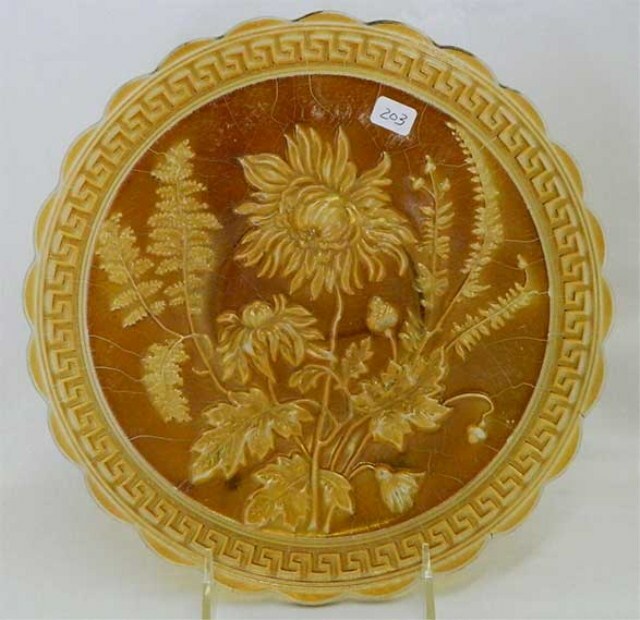 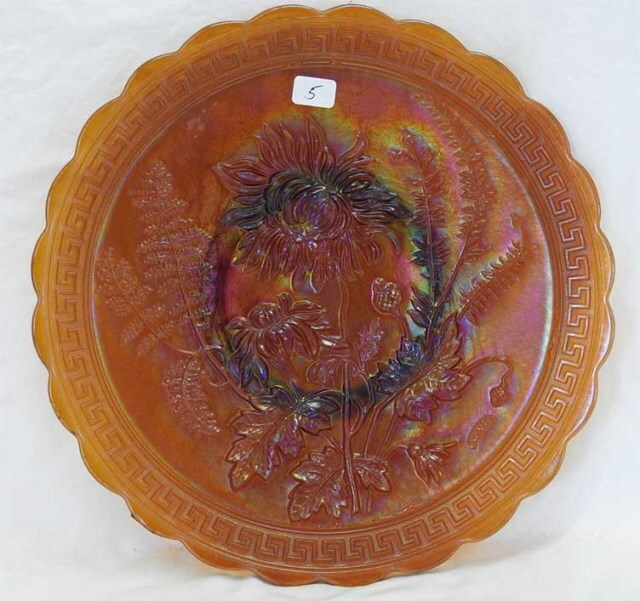 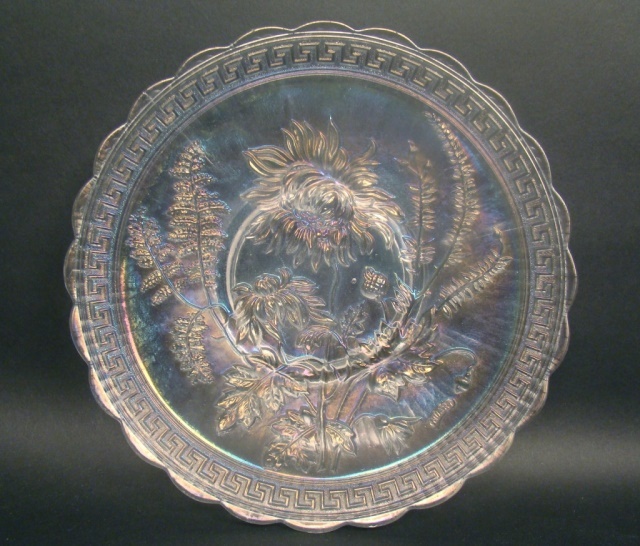 A large flat plate dominated by a large blossom. 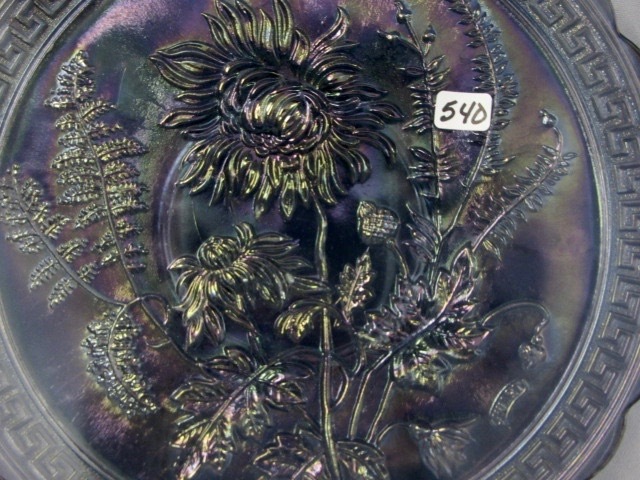 Sometimes marked with the Nuart logo near the bottom edge of the design. 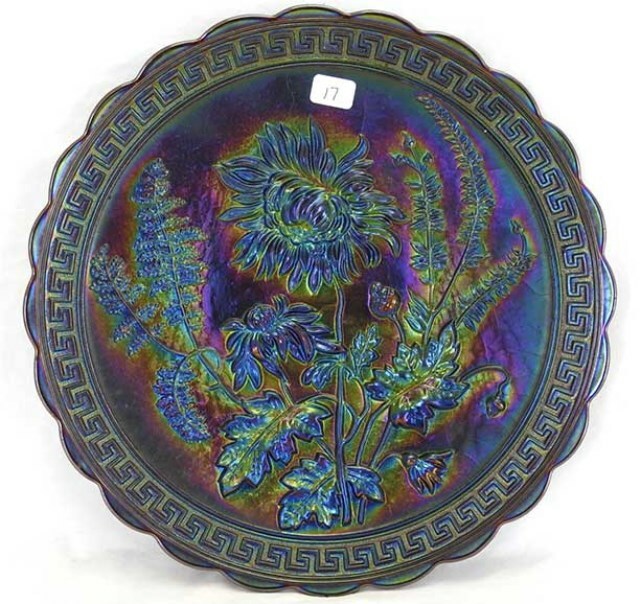 This piece was reissued by Imperial and others in a variety colors and those items should have the IG mark on the reverse. 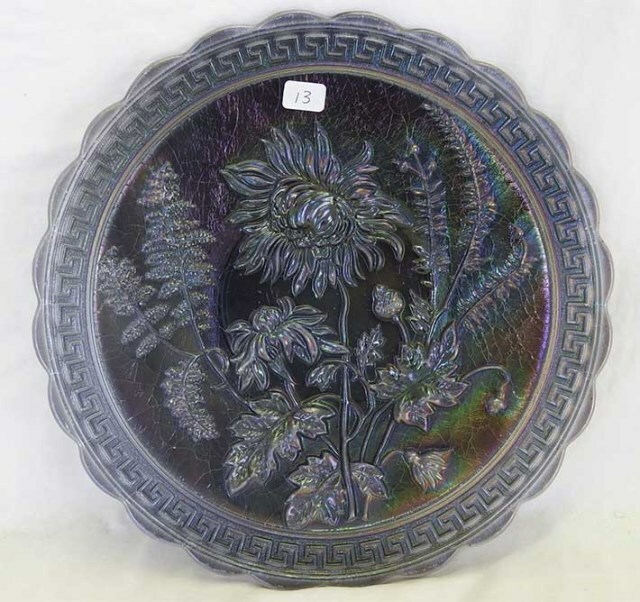 The old examples have a ribbed back, the new ones a have stippled base with the mark in the center. 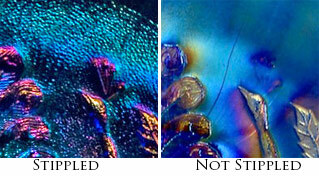 If the center is smooth, the mark has been ground off. 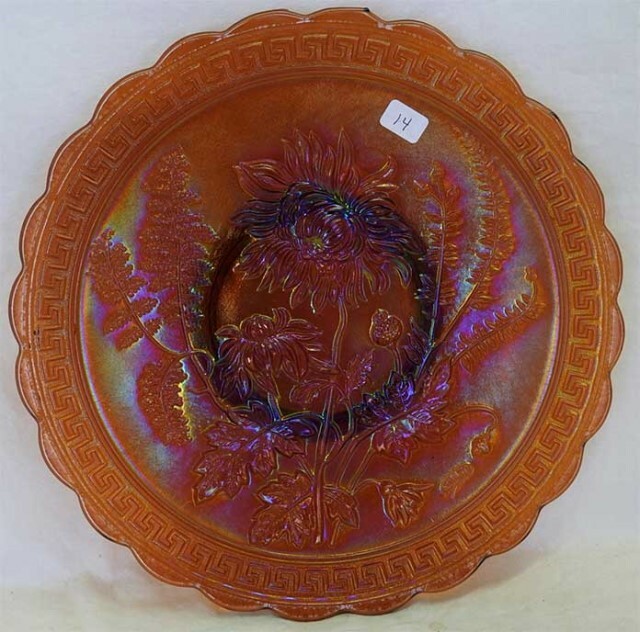 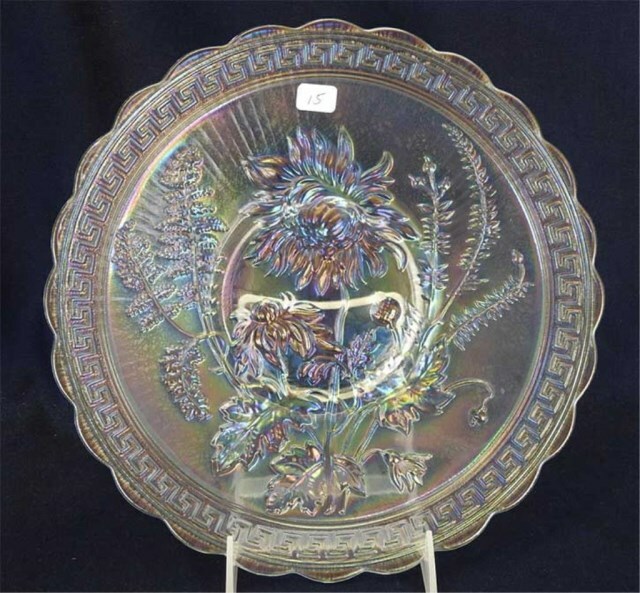 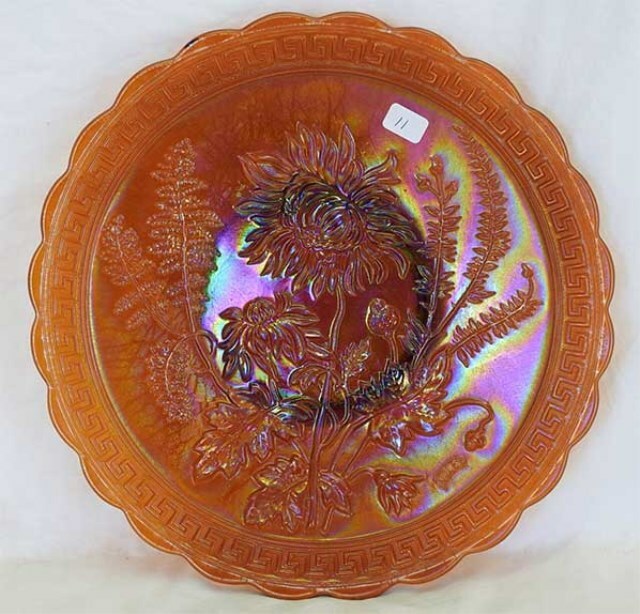 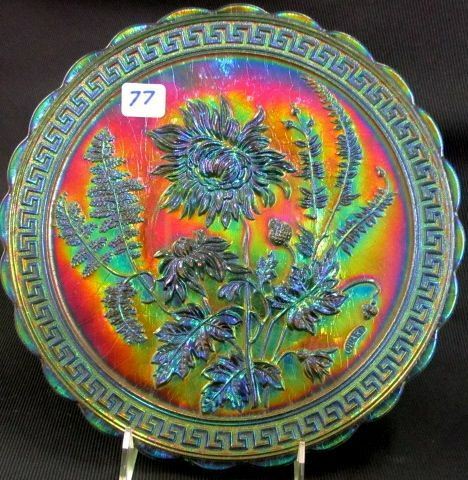 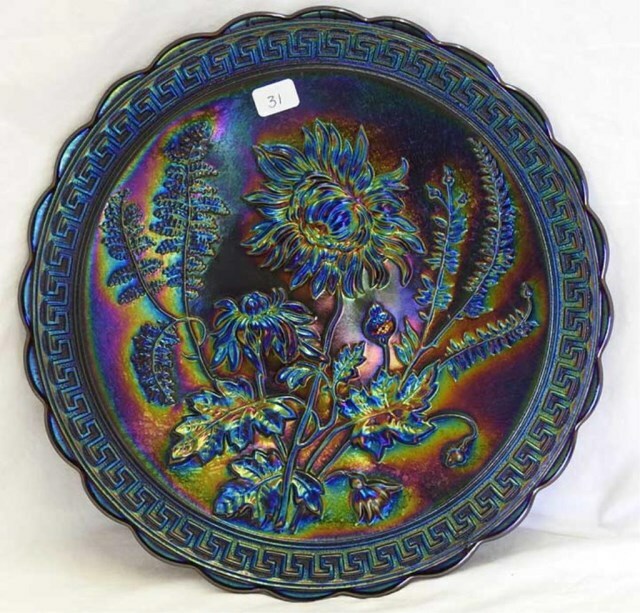 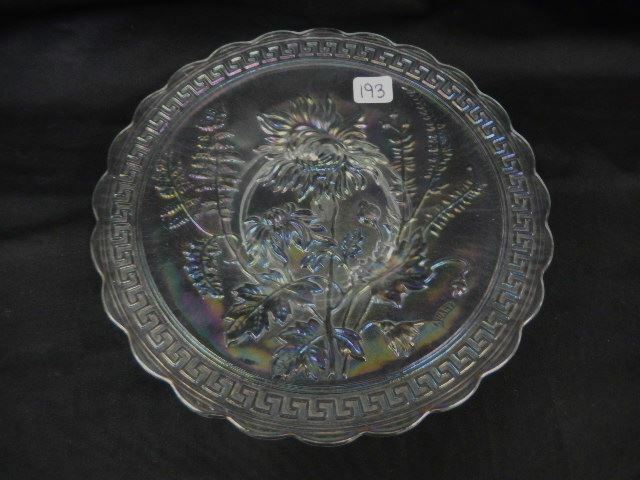 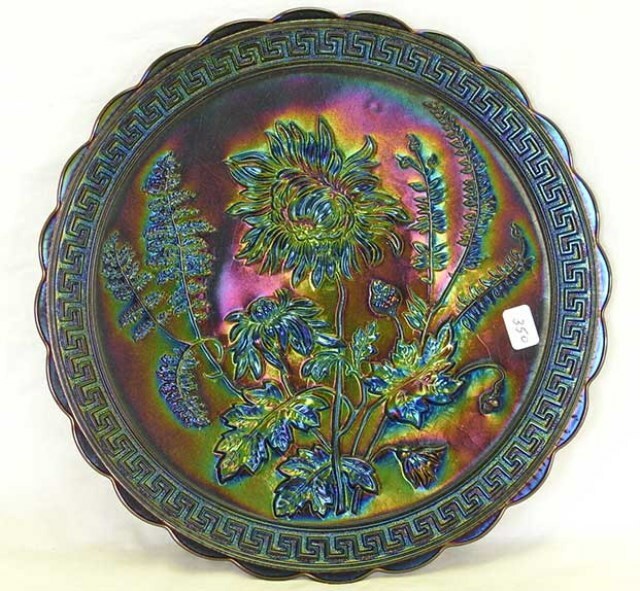 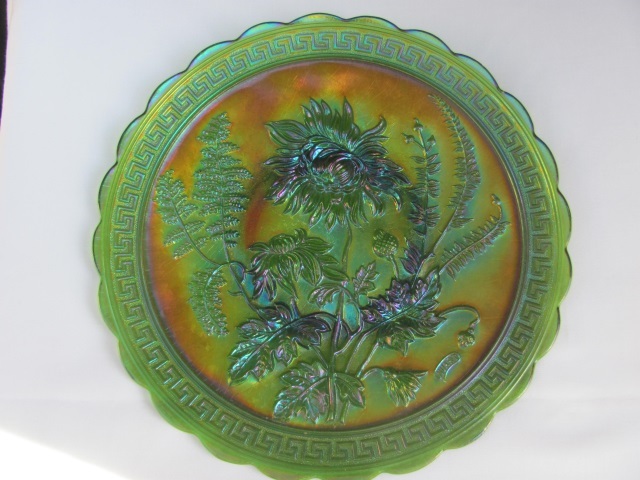 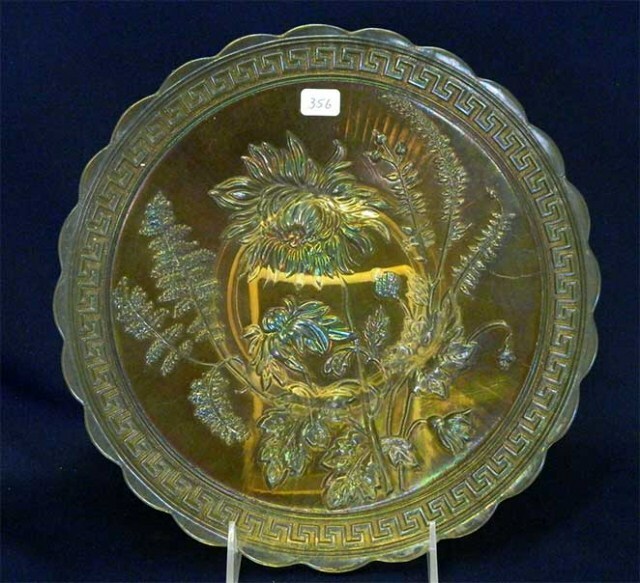 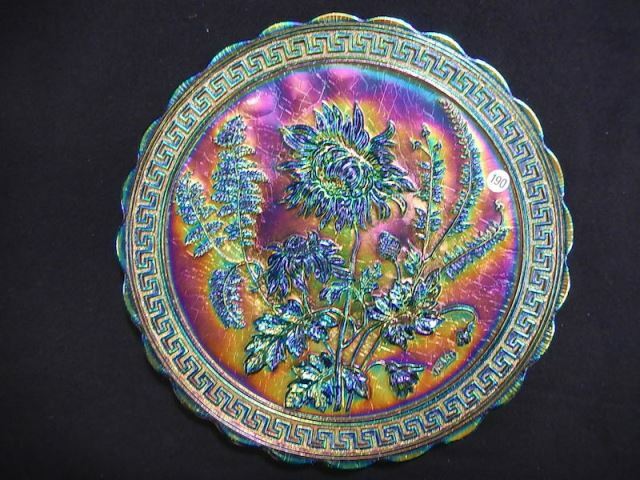 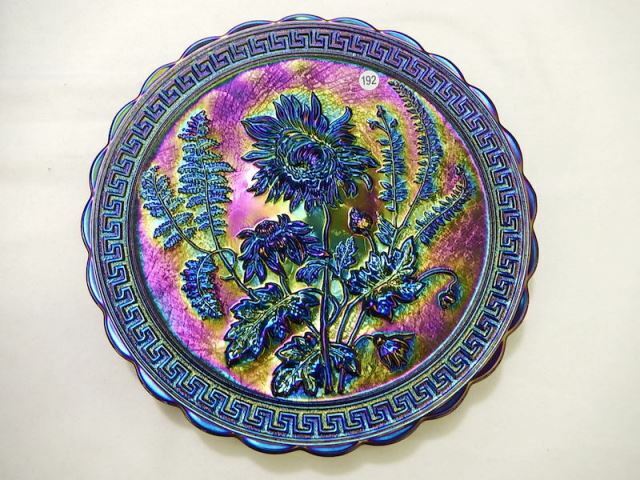 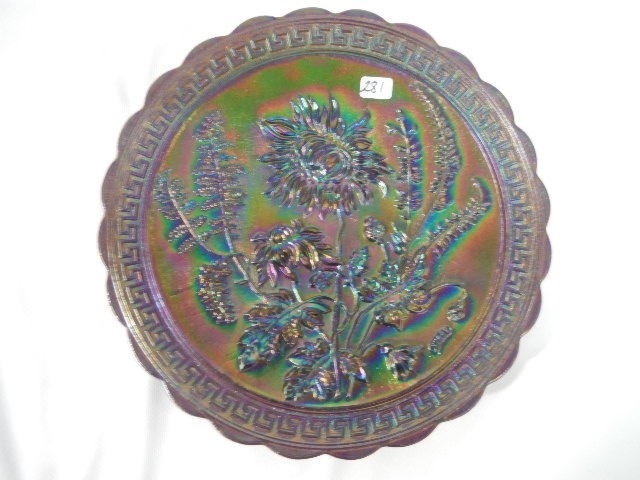 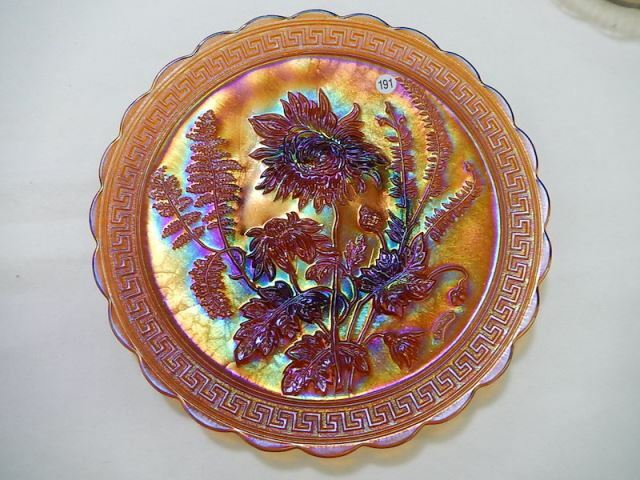 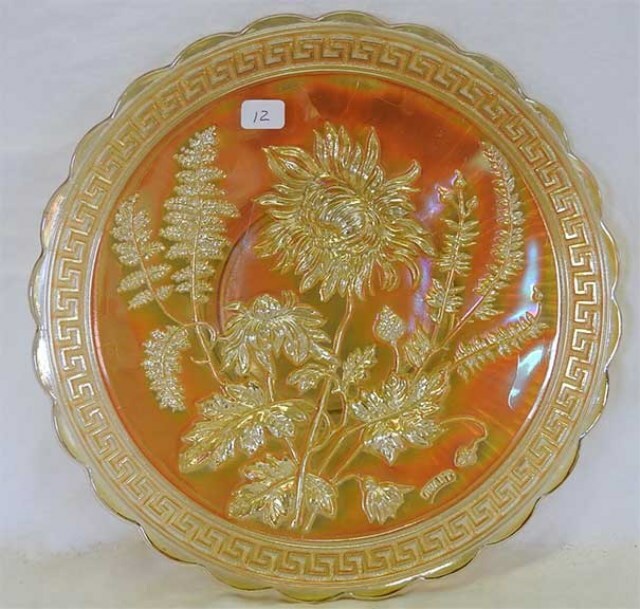 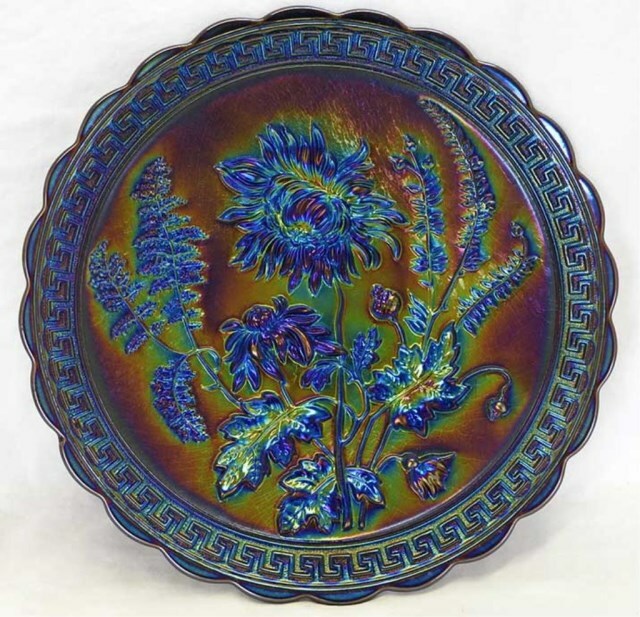 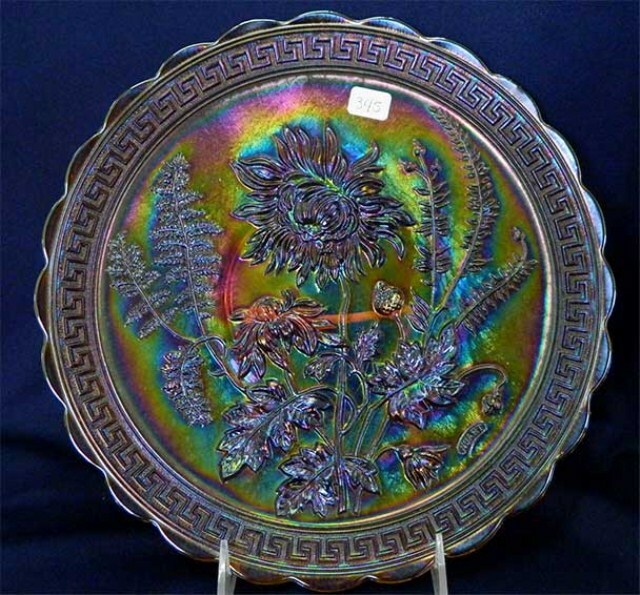 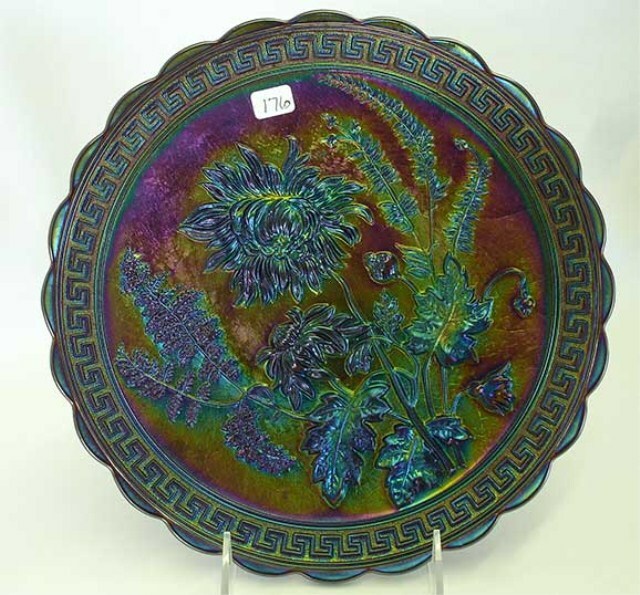 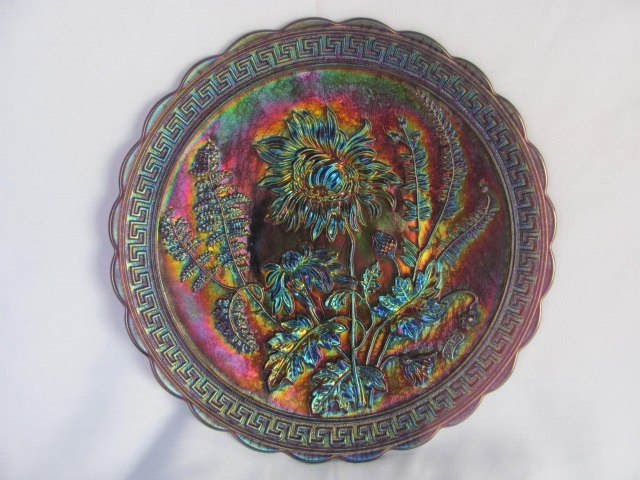 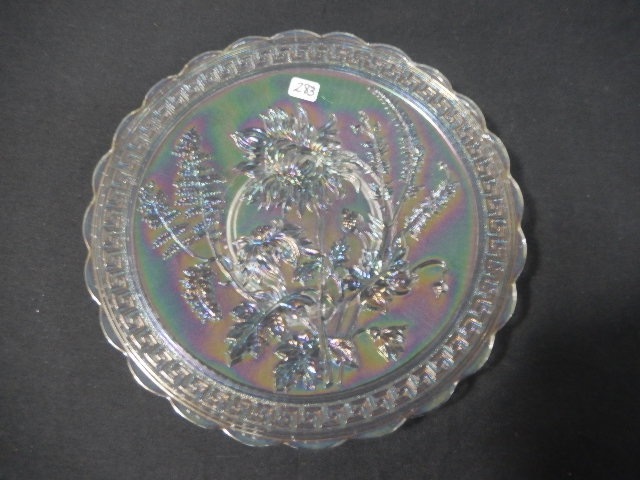 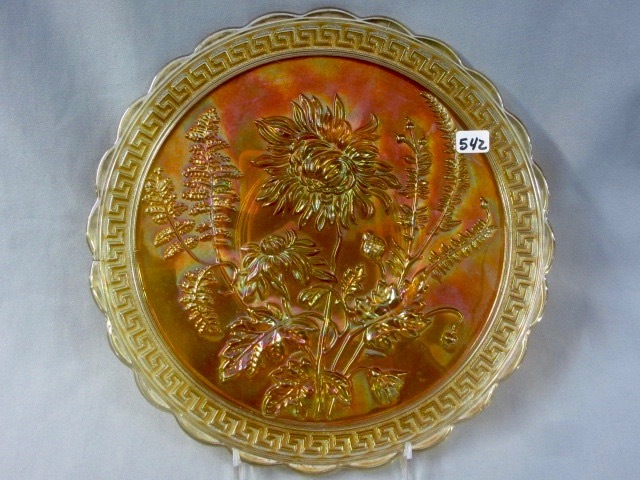 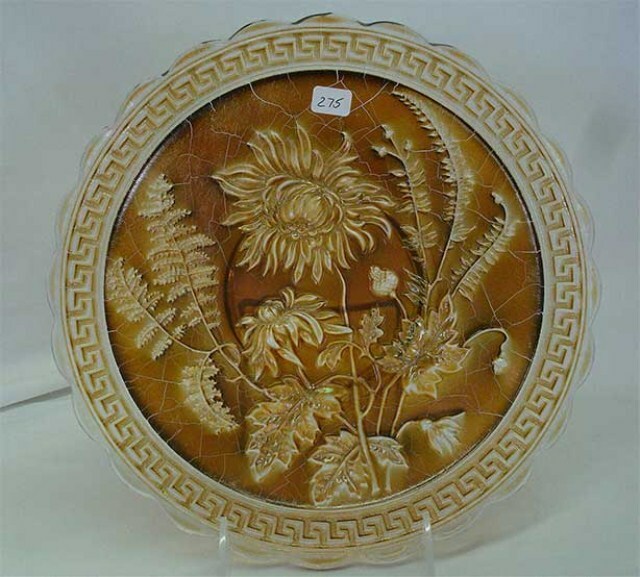 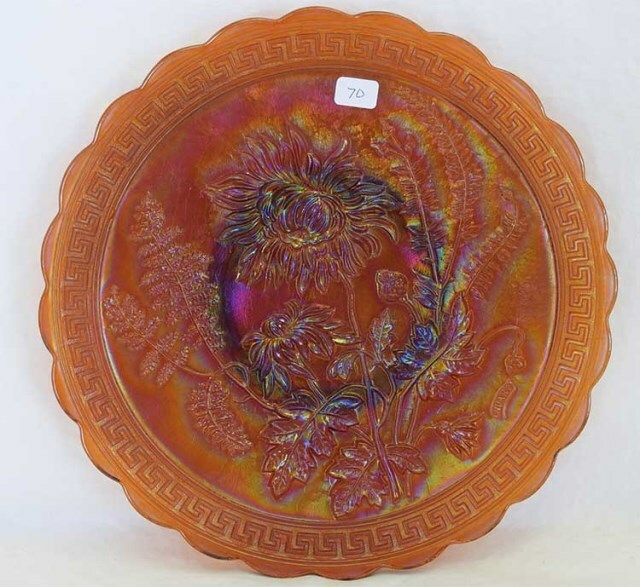 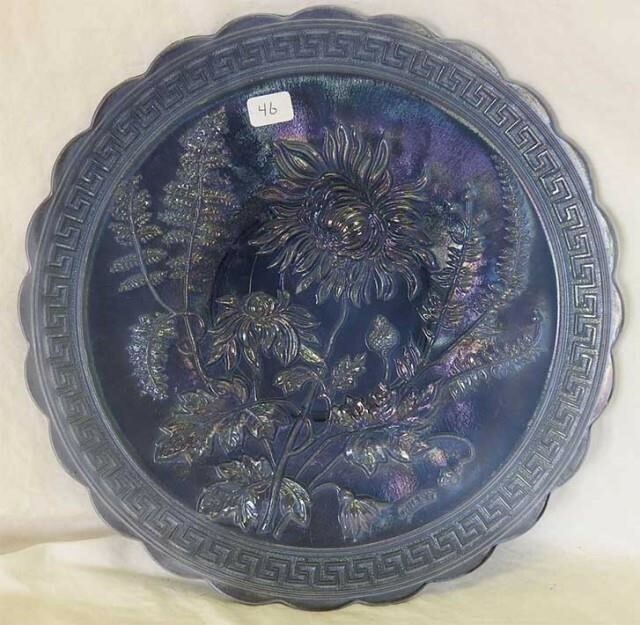 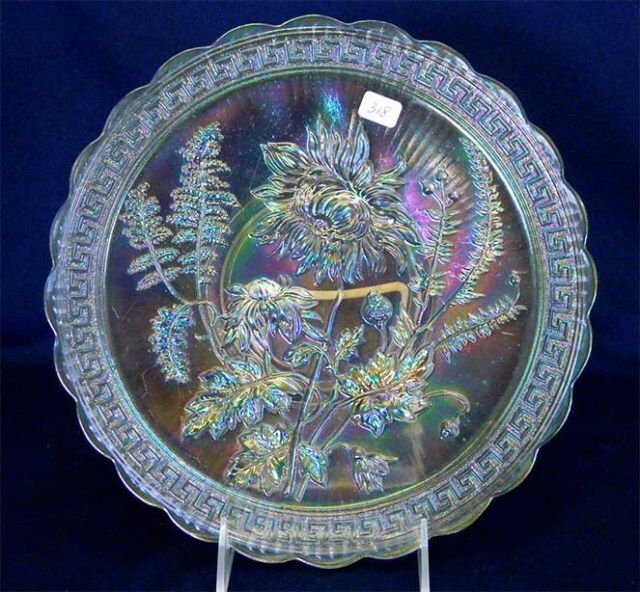 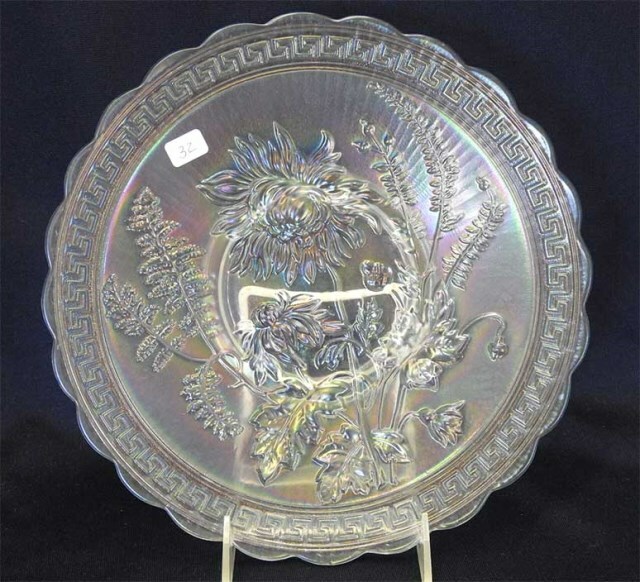 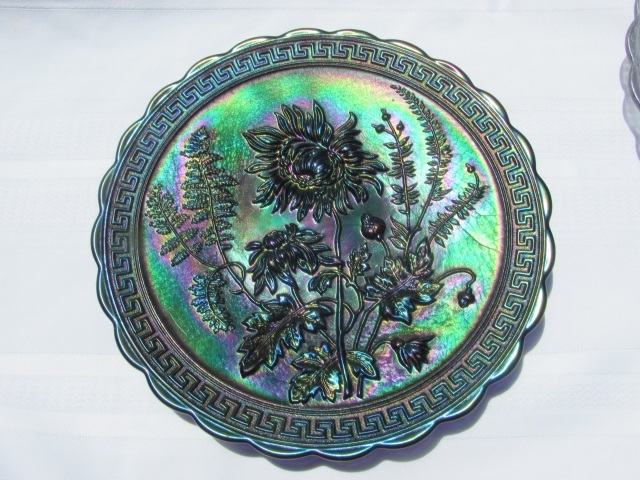 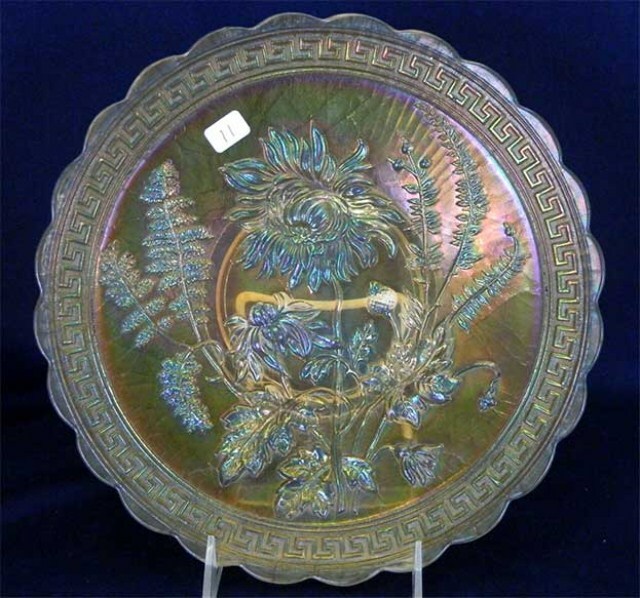 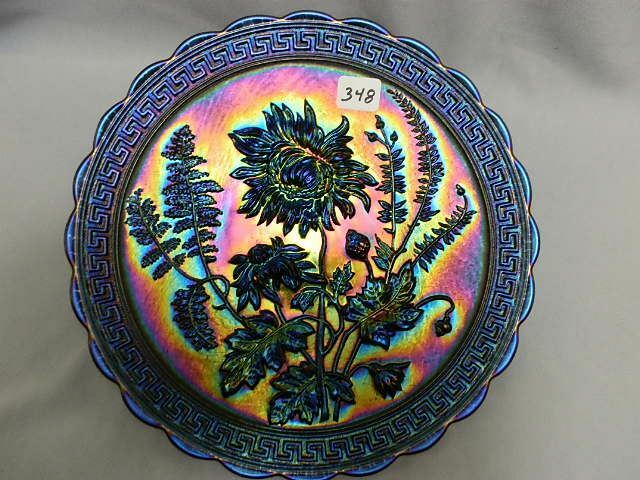 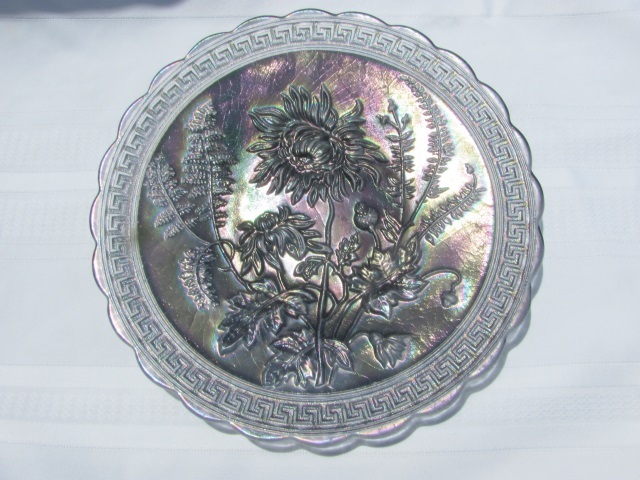 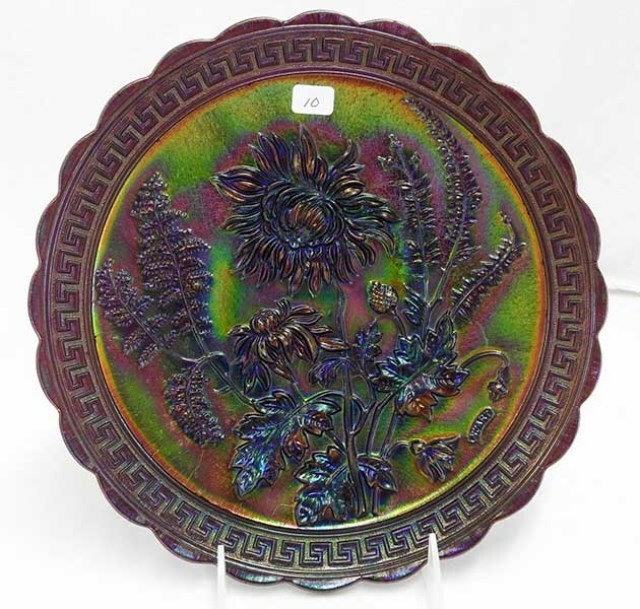 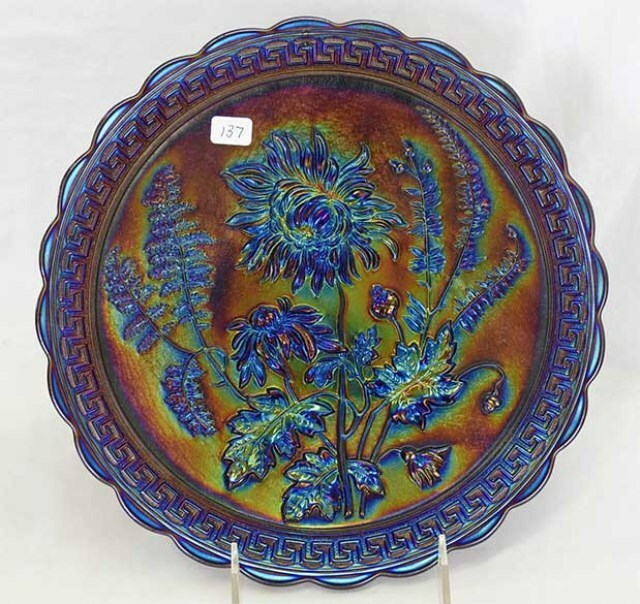 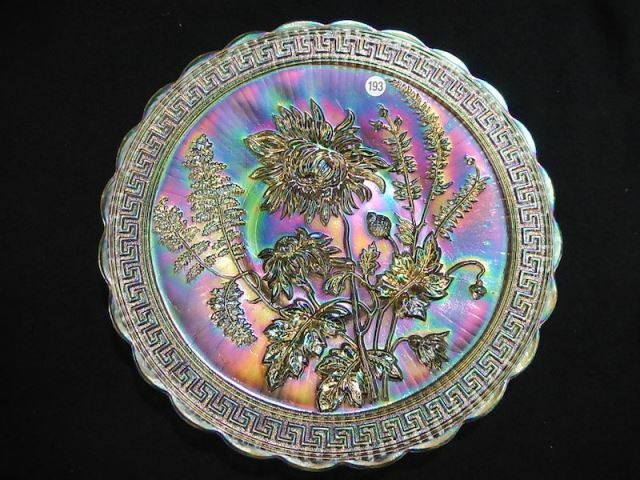 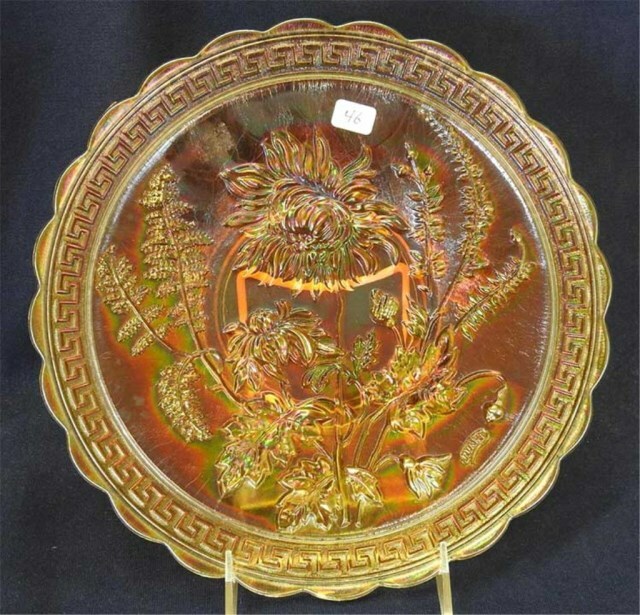 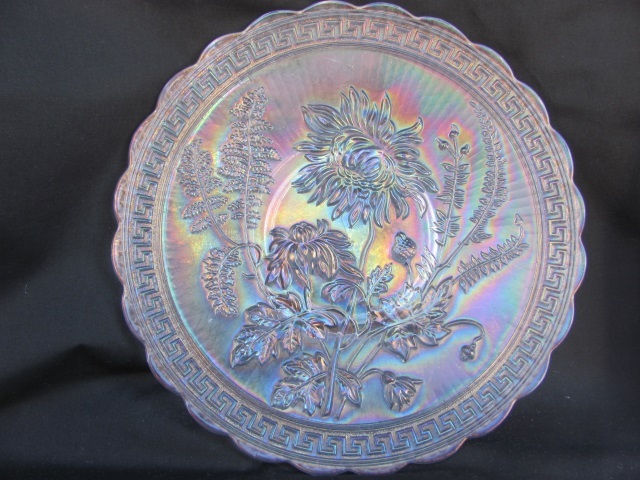 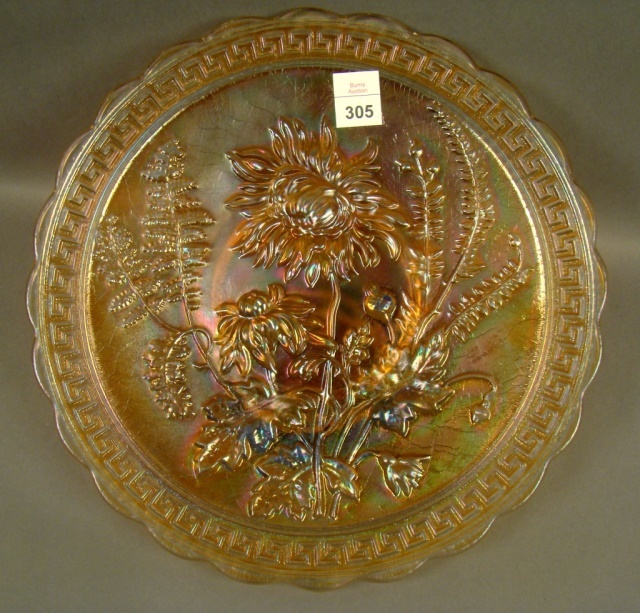 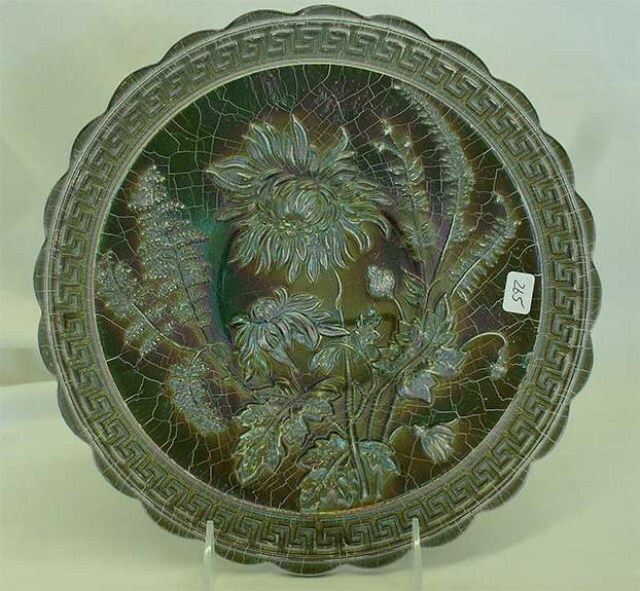 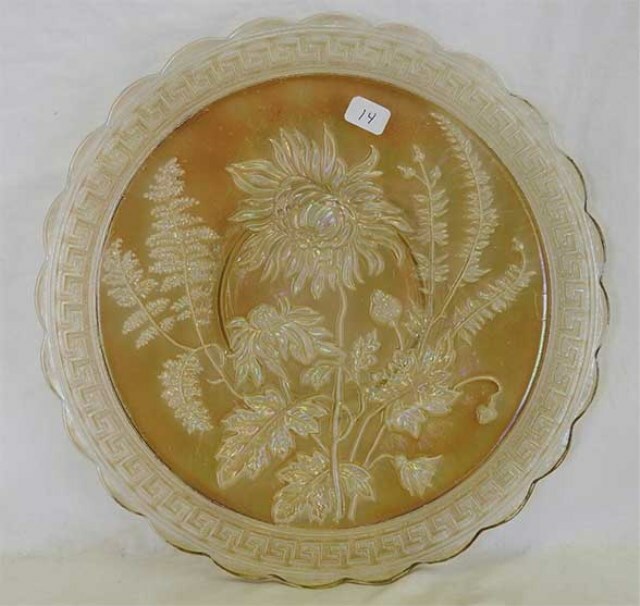 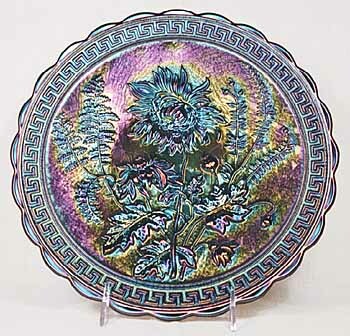 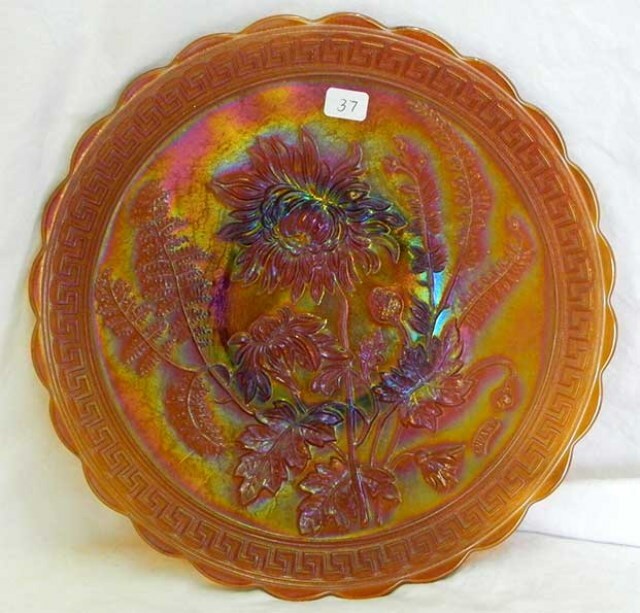 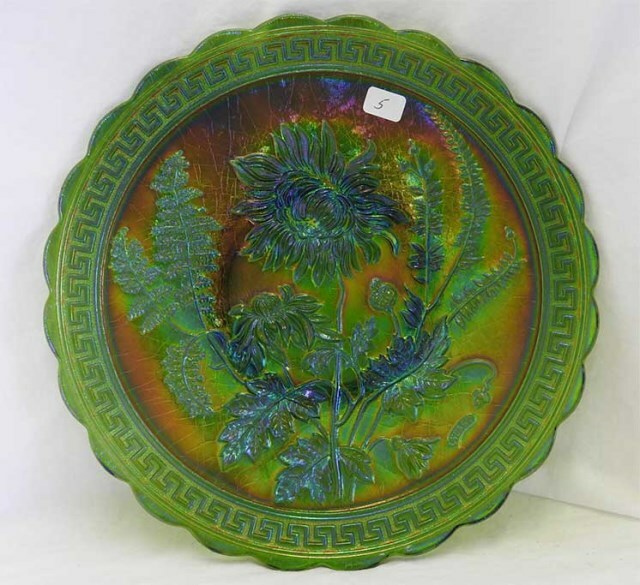 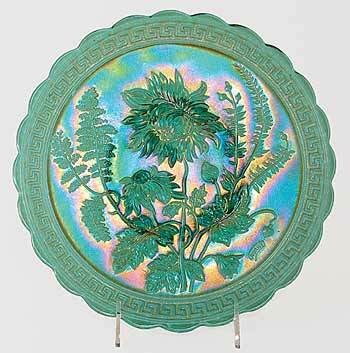 Above right is one of the few Chrysanthemum chop plates in green, as shown at the 2005 International Carnival Glass Association convention Rarities seminar.